Exquisite Estate home located in the highly sought after community of Stillwater on the exclusive private road of Horse Head Point. Sitting atop a hill, this home will make an impression on guests with its all-brick exterior and stately entrance. Entering the home into the formal living room, the cathedral ceilings, elegant columns, a gas fireplace and natural light from doors and windows tells the story of this home. No details have been lft unturned. 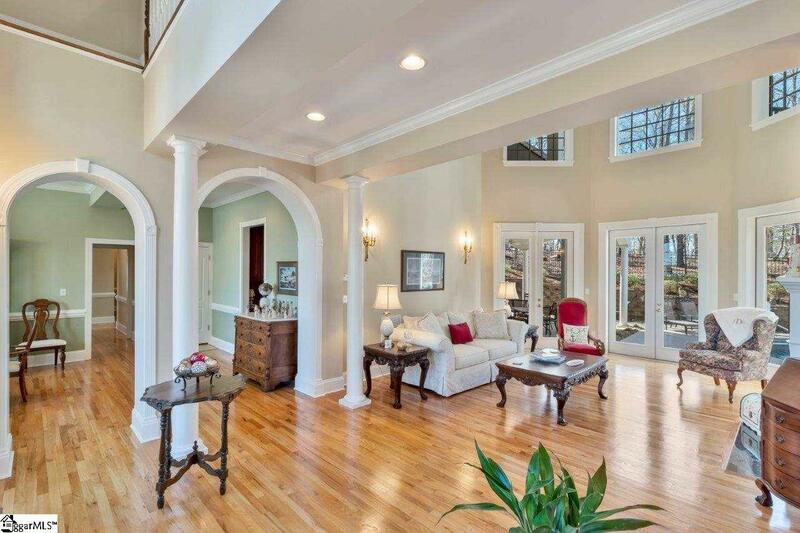 You will immediately notice the finishing around all the archways, hardwood flooring, crown molding and recessed lighting throughout the home. Off the living room, a perfect office space invites you to step through glass French doors and see the view of the amazing outdoors. The kitchen is complete with custom cabinetry, granite countertops, double oven, pantry and a breakfast area to enjoy your morning coffee. The kitchen opens to a family room complete with built in cabinets, gas fireplace, a coffered ceiling, recessed lighting and even a beautifully finished wet bar. French doors off of the kitchen access the private back yard. An oversized laundry with built-in cabinets is perfect for storing all of your extra small appliances, and an additional refrigerator is located in this area as well. The master bedroom, located on the main level, continues to impress with the 10 trey ceiling, recessed lighting, his and her walk in closets and completely updated master bath with tiled shower, soaking tub, double vanities and private water closet. On the other end of the home on the lower level is a space created for parents, with an additional bedroom, full bath and an enormous recreational/family room. Additionally, there is a private entrance off of the bedroom with secure parking to enter home directly on the main level. The second floor has three bedrooms, two with full bath rooms attached, each having their own balcony overlooking the pool, and an additional bedroom with winter views of Lake Hartwell. 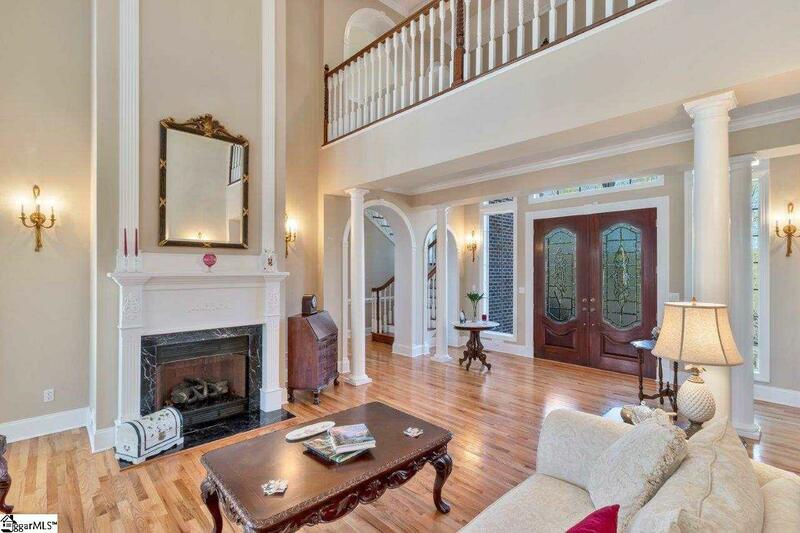 A large bonus room completes the upstairs and would make a great theater or playroom. The circular driveway makes it easy for guests to visit and gives them plenty of space to park. You will love the oversized three car garage on the lower level with plenty of storage and the additional parking outside garage on a large parking pad. This home also offers an electronic secure gate to access the additional parking pad in the rear of the house. The outdoor living space has been beautifully landscaped with a very large covered patio, Gunite pool & rock waterfall great for entertaining a large or small group. 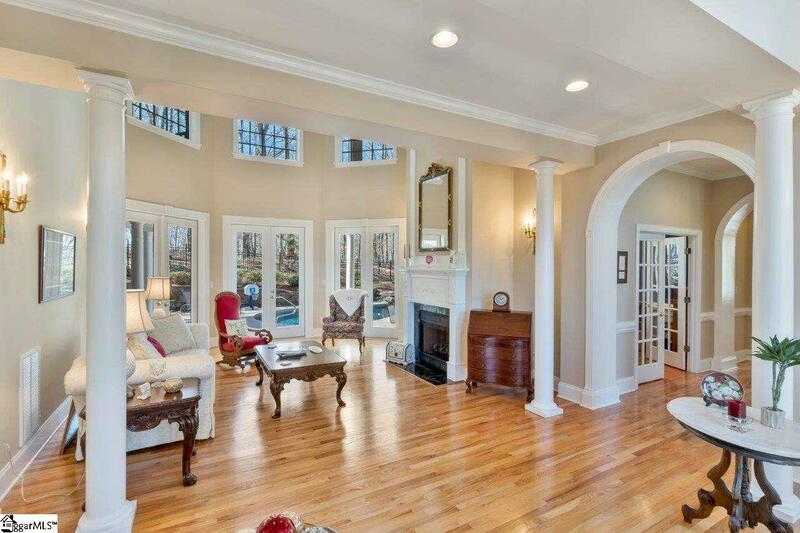 This gorgeous home backs up to the Clemson Forest giving you the privacy you desire. A gate in the backyard provides access to a trail where you can walk to a lookout point and take in the beautiful view of Lake Hartwell. When you are ready to enjoy the lake on your boat, just steps away from the driveway takes you on a path to your own boat slip included with this luxury home. Stillwater community amenities include a large swimming pool, basketball, play area, walking trails, tennis and a pickleball court and is conveniently located only minutes away from Clemson University, shopping, and restaurants. When driving thru the elite neighborhood, you will see many residents working on their lawns or walking their dogs and are sure to get a friendly wave. This home is a must see! Call for your private tour today!